The Lawrence House, located on the northeast corner of Kenmore and Lawrence, is for sale. 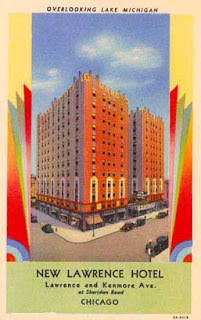 Originally an upscale apartment hotel, it was designed by Ralph Huszagh and Boyd Hill, and built in 1928. The architectural team is also responsible for the Aragon Ballroom. 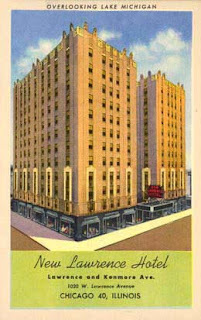 The New Lawrence Hotel was an art deco dream and had an indoor swimming pool, exercise room, rooftop garden, and all the modern conveniences of the day. Known as the Lawrence House today, the majority of its tenants are 55 or older, although it is not officially a senior building. The pricetag is $19 million. Full details can be found at Crain's Chicago.